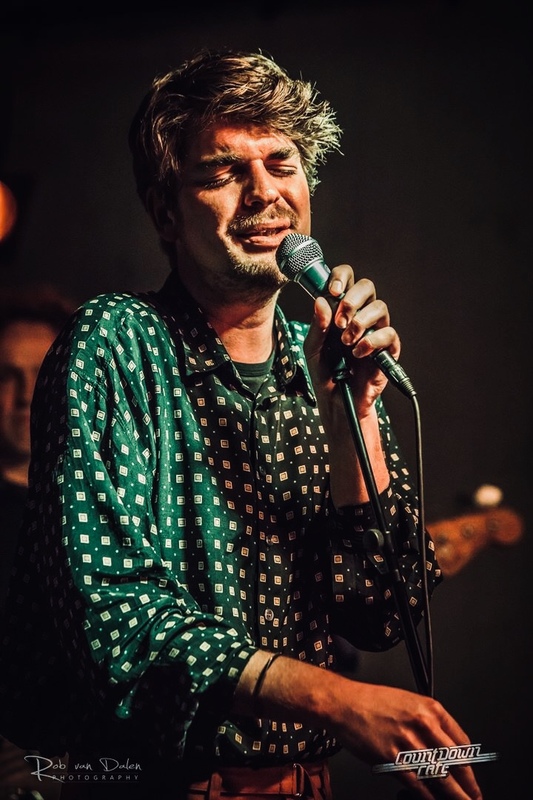 Tim Treffers (1988) is a Dutch singer/songwriter. He was born into a musical family, with singer Arnie Treffers, who scored a lot of European hits with ‘Long Tall Ernie & The Shakers’ in the 1970’s, as the best- known example. After starting piano lessons at the age of 9, he sang in local bands. At the same time, he started to take vocal coaching from respected Dutch singers such as Lisa Boray (American Gypsy). Meeting composer Tim Vermeulen, back in 2012, marked the start of his professional career as a singer. Vermeulen and Treffers started to write songs together and in 2013 Eric Van Den Brink (Yoko Ono, Gerry Beckley, David Paton,a.o.) joined the team. Recordings began for what was to become Tim’s first album. ‘Never trust a man in a fur coat’ was released in Holland in 2015 and received much acclaim in his home country. Like one of the many reviews said: “I am sure that anyone that makes the effort to pick this up, will love it. It is that good!” The record combines pop sensibilities with funky grooves and jazzy soul and throws in a dash of rock here and there. Besides a lot of new material, it also included covers of songs by Eric Tagg and Tony Joe White. P-Vine Records decided to release the album in Japan one year after its original release. Meanwhile, Tim joined the tour of a theatrical rockshow called ‘Invitation to the sound of Earth and Fire’, directed by Jan-Hein Sloesen, performing songs of this famous Dutch band. Also, he recorded 2 duets with Japanese singer Mimlus Naito Akiko for her album ‘Squame’ (Kwaz label). January 2018 marked his first tour in Japan, starting in the capitol of Tokyo. November 2018, Tim released a brand new single: ‘Gimme a break’. This funky synth-popsong was written by American songwriters Tom Salisbury and Barbara Mauritz and recorded under supervision of a brand new producer: Mathijs Duringhof.